Denali stole my heart: wide open vistas, alpine tundra slopes, Dall Sheep grazing on rugged mountain peaks. Wilderness. Wolves. Grizzly bears. The challenge of it all. The freedom. The evolution of the short summer season, from an eager and intense spring to the snowflakes and stillness of fall. The hard work & the camaraderie. One season and I was hooked. I couldn’t get enough, and everything had changed. I didn’t start out being a truly seasonal worker. Well, I guess I did for the first year. But my love of the outdoors, adventure, teamwork and excitement was rooted in seasonality: the constantly changing nature of it all. 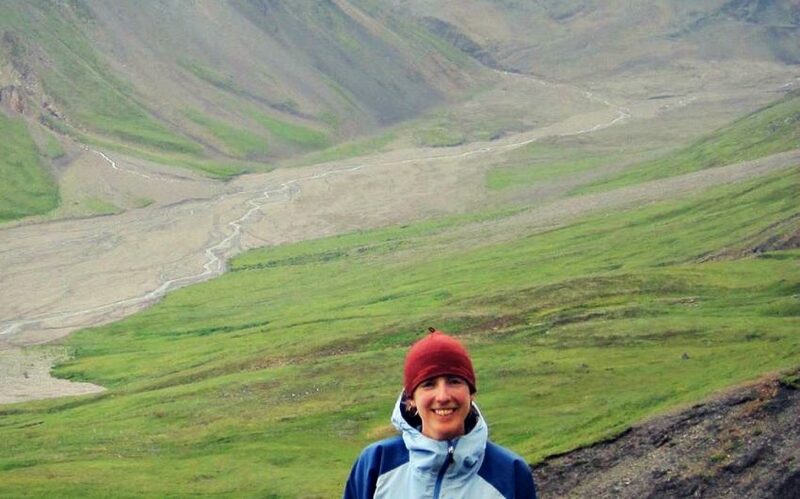 When I accepted a full time, year round position at Camp Denali after one summer of seasonal work with them, it was a way for me to be involved in a business I loved, while also getting to live in Alaska. Though year-round employment, the work changed with the seasons, as I went from the indoor office work of reservations, planning, hiring, etc. of winter, to the outdoor life of running the lodge and guiding in summer. I got to live the life I had always dreamed of. I cross country skied every day in winter, including as my commute to work. I read by the heat of the wood stove and shared amazing food with neighbors, who became my family, at potlucks. I travelled overseas in my time off and dreamed up adventures. In the summers, I hiked nearly every day. I lived in a cabin that was more like a tent… like deluxe camping, and I LOVED to camp. I was surrounded by likeminded peers, role models, and visitors eager to soak up my knowledge gleaned from a lifetime enjoying the outdoors and my education in ecology. I learned new things and I was challenged. I literally pinched myself, daily. And it all evolved from there. Alaska, and Denali, quickly became my home. After about six years or so, family and friends finally stopped asking, “When are you going to come home?” and “When are you done in Alaska.” I couldn’t ever imagine being “done” with Alaska! And not only that, but my ambitions to see the world, to experience the world only grew. I am not a vagabond at heart; I need to know where my home is in order happily wander for a spell. So I built a home, just across the river from the Denali park boundary. It was an experience, and still is. In fact, I could write an entire book about it… the most amazing of all my adventures. But having a home to rest my head, store my stuff, and restore my soul gave me the freedom to roam. What did I want to see? What did I want to experience? What type of work did I want to do? I was in this place where I felt like I really could choose to do almost anything I could dream up. I decided to balance working summers in Denali (now as a baker and manager of the Artisan Café at Tonglen Lake Lodge) with winter elsewhere. I wasn’t running from Alaskan winters, but there’s just so much out there…. I had to go. I’d always wanted to experience Yellowstone in winter and work on my cross country skiing, so I lived in Montana one winter as a Nordic ski instructor and naturalist guide in Yellowstone National Park. In the meantime, my interest in the Antarctic and polar regions was growing. I was thrilled in 2014 when I was offered a position at a field camp in the West Antarctic. I would be able to draw upon my love of cold and extreme places, my comfort living and working in those climates, and once again be CAMPING! This might not sound like a dream job, but for me, it truly was! And better yet, the Antarctic summer is our northern winter. The perfect seasonal compliment to Alaskan summers. My career path doesn’t necessarily make sense on paper. Biologist with field experience as educator and program manager, turned baker, turned ski instructor, turned field camp guru of communications (talking with airplanes on radios) and field camp operations coordinator (professional maker & melter of snow holes for outhouses), but it is a natural progression in my mind, and I’m right where I want to be. Seasonal work has given me an incredibly broad skill set, and the opportunity to pursue my dreams. During the employment seasons, it’s often hard, intense work… the kind that gives me a great sense of accomplishment and satisfaction. And then there is the in-between seasons. For me, March – May is the reward of time for myself. I might travel, work on my home, pick up odd jobs or volunteer. It’s time to do big wilderness trips, or catch up on correspondence. It’s a time to do those things we always think we’re “too busy” to do. It’s time to embrace friends and family, and to reach out to others who call this great state home. Next week I’ll be traveling to the remote village of Kotzebue in Western Alaska with a program that’s been introducing kids in far flung remote villages to cross country skiing as a healthy lifestyle choice. I feel so fortunate I have the time to participate in such a great endeavor. What’s next? Who knows. Antarctica is an enormous continent with much to see. Then there’s Greenland, and Arctic Canada. And relief work in Africa or the Middle East. Maybe I’ll take a job that will allow me to telecommute from my home in Denali. What I do know is that I wouldn’t change this path that’s brought me here, and going forward will be that fine balance of dreaming big, deliberate action and making the most of opportunities. I’ve never felt artistic, but I love the art of living. Wonderful – inspirational. About to head to Denali for my first season there (previously in Glacier National Park (3 years) and Yellowstone). Hoping to have my heart swell too :). I’ll rent your place if you’re away 🙂 Beats the dorm life I’m sure. Adventure on! Anne, you look about 14 in your photo. Fun to read blog.